Share the workload of generating content with others who bring different perspectives. This program will run mainly on the honour system. Ambassadors sign up and manage the social media for Kids New West for one week. When they sign up, they select four different week options in 2016 they’d be willing to choose the content and articles to share. We ask that Ambassadors share Kids New West information and links with their social networks as much as possible. There is no specific number of shares because all Ambassadors have a different perspective and social circle. Some of them blog, some are active on Facebook; some are active on message boards. Not all content generated by and on behalf of Kids New West may be a good fit. Sharing for the sake of sharing is not the goal. Spreading the word to the right people is. 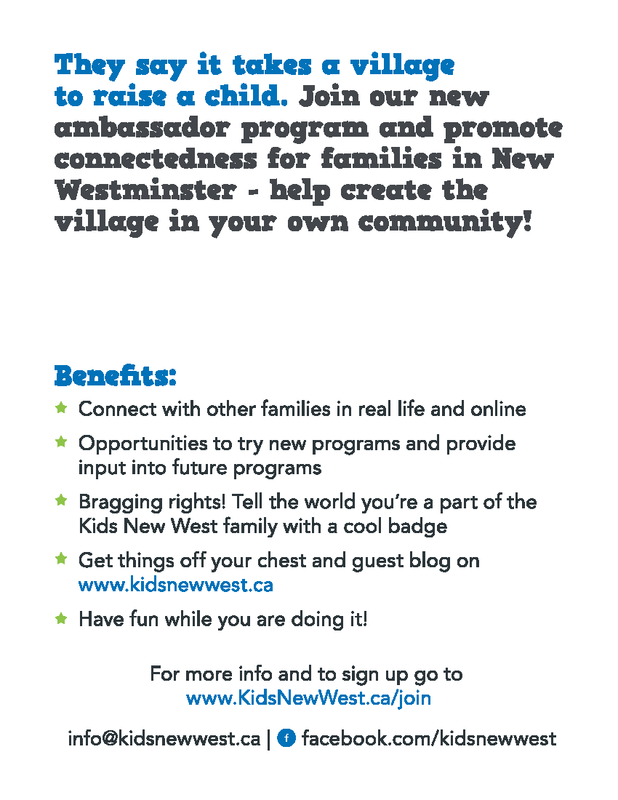 Have the opportunity to connect with other families in New Westminster through meaningful online connections that can potentially turn into real life encounters. Occasionally may be offered the chance to trial new programs or services being considered by Committee agencies. Have the opportunity to provide input into programming and services connected with Kids New West through surveys or in person, which can shape the programming and services available in the city. Are permitted to announce/acknowledge/brag about their participation with Kids New West on resumes, websites, or blogs. A jpg or png badge in three different sizes will be available for approved Ambassadors to download and display, as well as a button will be available when they sign up. Have the chance to provide blog posts and guest curate the Facebook Page with content they think is worthy of sharing. How this content actually makes it onto the Facebook Page and blog will depend on the resources available to the committee as well as the Ambassador’s individual skill level. Spread the word to help find more Ambassadors! The more, the merrier! Note: it is not a requirement that an ambassador have children living at home with them. Service providers, businesses, and people with grown children, deceased children, or non-custodial children are all acceptable applicants provided they meet other requirements. 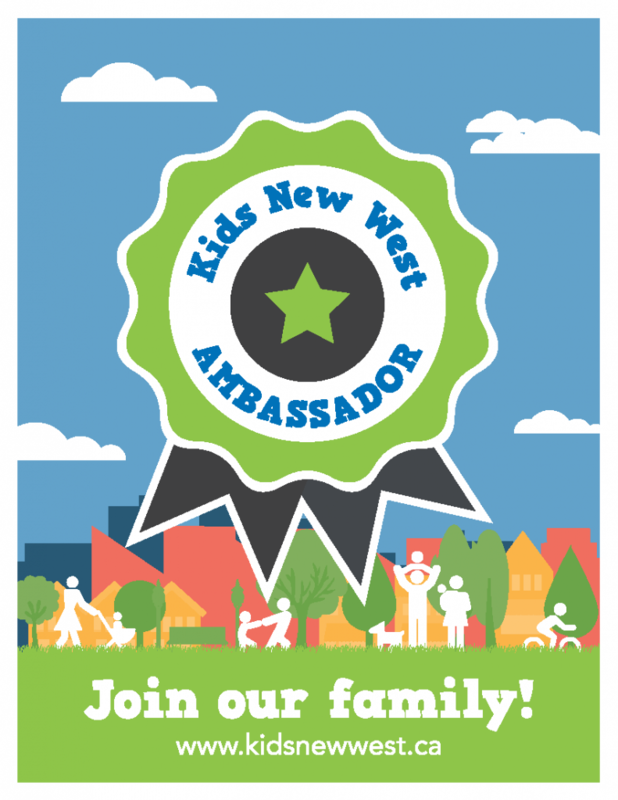 To become a Kids New West Ambassador, please fill out the application form, located here. We’ll be in touch with you shortly!